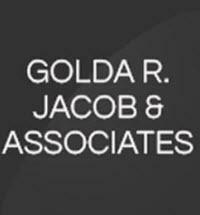 Golda R. Jacob & Associates P.C., is an experienced law firm located in Houston, Texas, dedicated to family law. Our committed attorneys focus on offering the most effective strategies for representing clients who are working through challenging family law issues. Our track record is based on an approach that is first and foremost results-driven and puts our clients' interests first, regardless of the decision at hand. We fuse our insights gained in our years of experience with cutting-edge strategies that are customized to the circumstances of every family with which we work. Our partner Golda Jacob is board-certified in family law by the Texas Board of Legal Specialization. She leads our legal team, one that is attentive, unyielding and zealous about advocacy and resolutions that help clients realize their goals in the immediate and long term. Our lawyers will take the time to address all issues and explain potential options. Our foremost goal is making clients feel comfortable and empowered about actions they can take. We not only assist families in making a difficult transition, but also in elevating their well-being afterward. Every client gets the benefit of comprehensive knowledge as well as litigation dynamism. We also have an extensive network of experts who we can call on to address complex forensic accounting, valuation, tax and other property issues.